On Okinawa, there are two types of Shito-Ryu, one founded by Shinpan Shiroma and the other by Kenwa Mabuni. These two were close friends and disciples of Karate; they trained together from the age of 13. Both trained under Anko Itosu and Kanryo Higaonna. Mabuni learned Sanchin from Kanryo Higaonna, and he studied briefly with Gokenkai “Chinese White Crane” expert residing in Okinawa. After this he studied under Chojun Miyagi. It is told that his devotion to Miyagi was so strong that after Miyagi’s death, Mabuni practiced kata by his graveside for one year. After this, Mabuni moved to Osaka and began to teach Karate. He was among the first Okinawan teachers to introduce Karate to mailand Japan. Mabuni first called his style Hanko-Ryu or “Half Hand Style”. 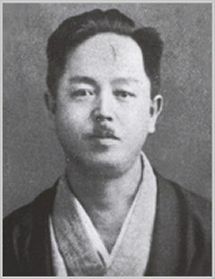 Later in 1937, in remembrance of his two teachers, he took the Chinese characters “Shi” (Ito in Itosu) and the “to” (Higa in Higaonna) and combined them to form Shito-Ryu. Mabuni had a deep understanding of many kata’s due to extensive study. He is credited with the kata ShinPa.